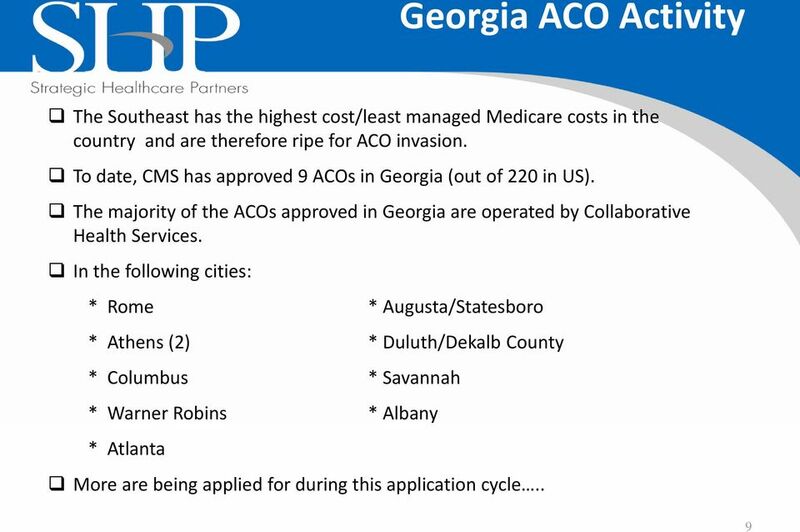 Download "Georgia Society for Healthcare Materials Management. 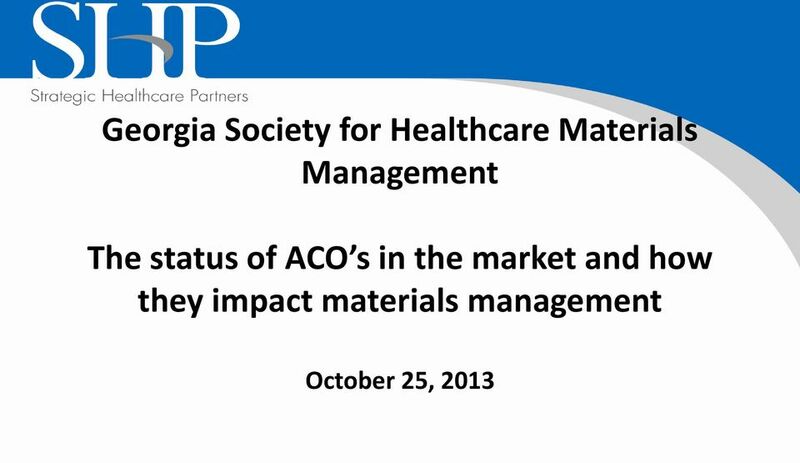 The status of ACO s in the market and how they impact materials management." 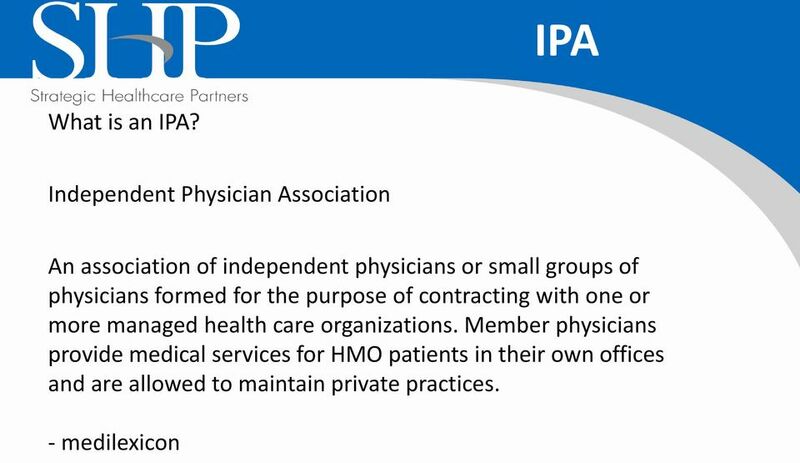 15 IPA Pros 1) Aligns interests of physicians while each retain its own autonomy. 2) Allows physicians to come together in creating best practice standards of care. 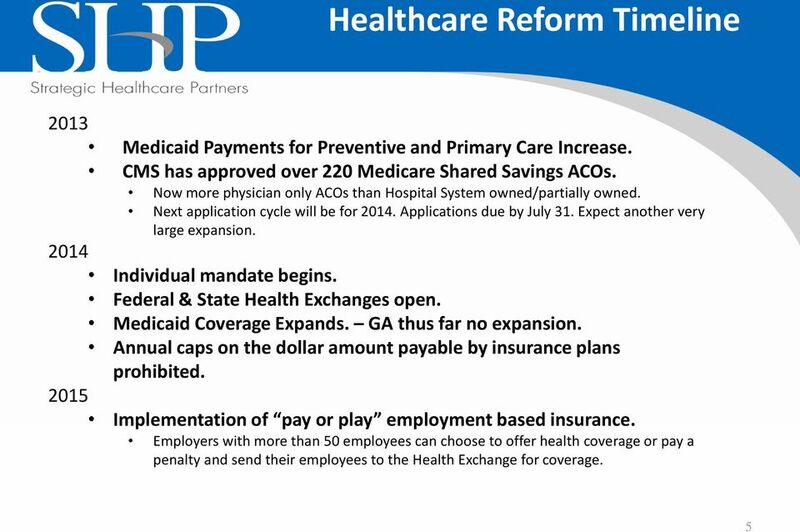 3) Provides a united front to payers even if start with a messenger model. 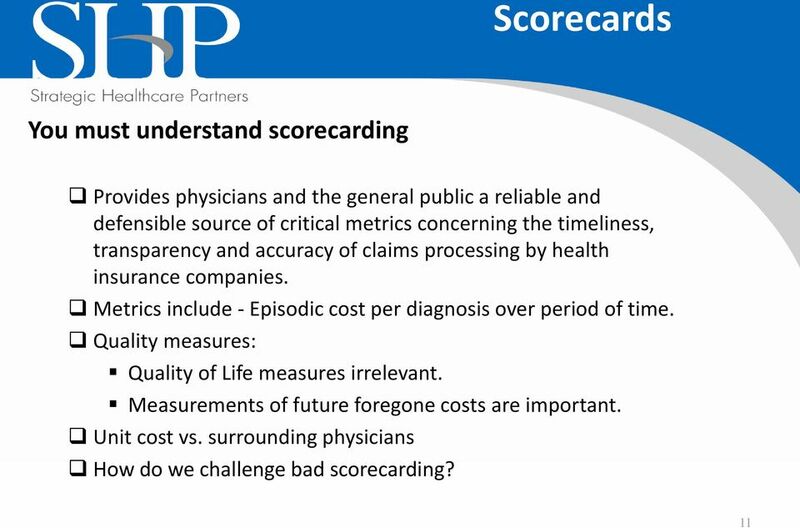 4) Allows for mechanism of incentive based payer contracting once scorecards are developed and tracked. 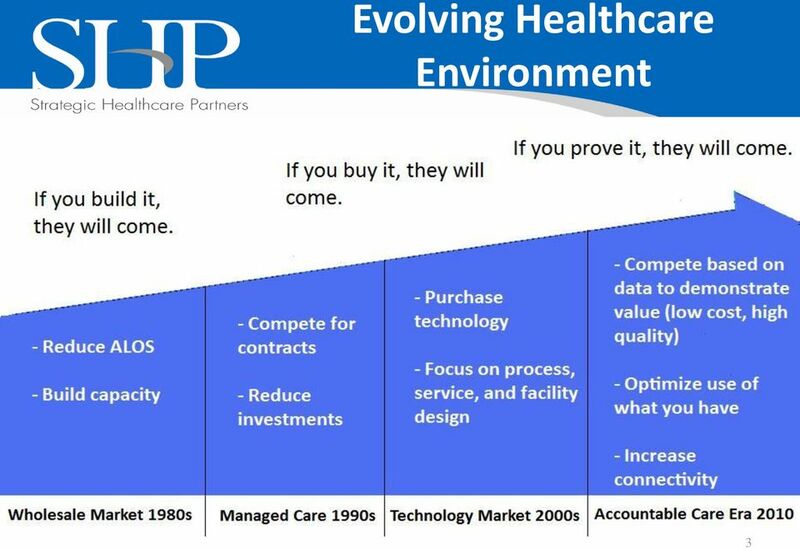 5) Provides a potential mechanism in the future for consolidated managed care contracting (when clinical or financial integration is achieved). Medicare Advantage Plans and CMOs are already asking for it. 21 How does all of this affect Supply Chain? 23 Physician Based ACO s Since the physicians are not partnered with the hospital in this model, they are not as incentivized to work with you to lower their costs. 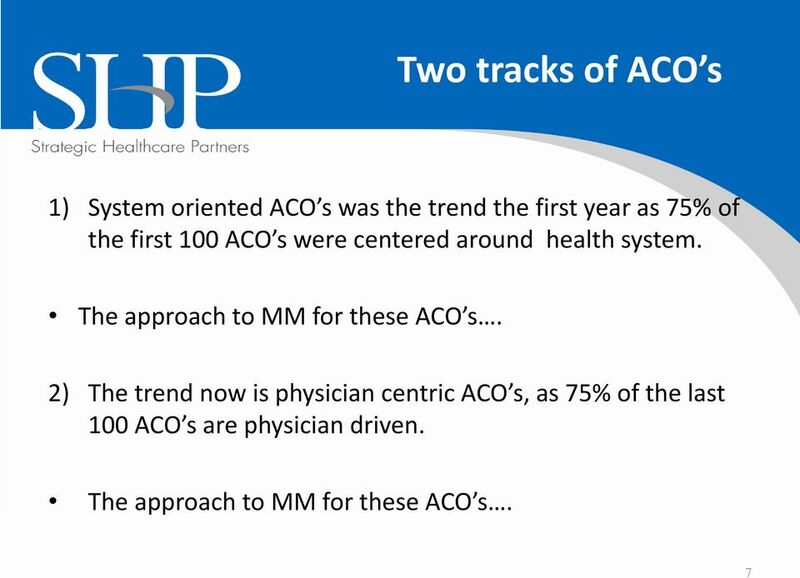 Hospitals and Materials Management need to find other ways to improve support physician ACO practices. Opportunities may include identifying improved distribution service, support services like Biomed, housekeeping, laundry and capital equipment sourcing and negotiation support. 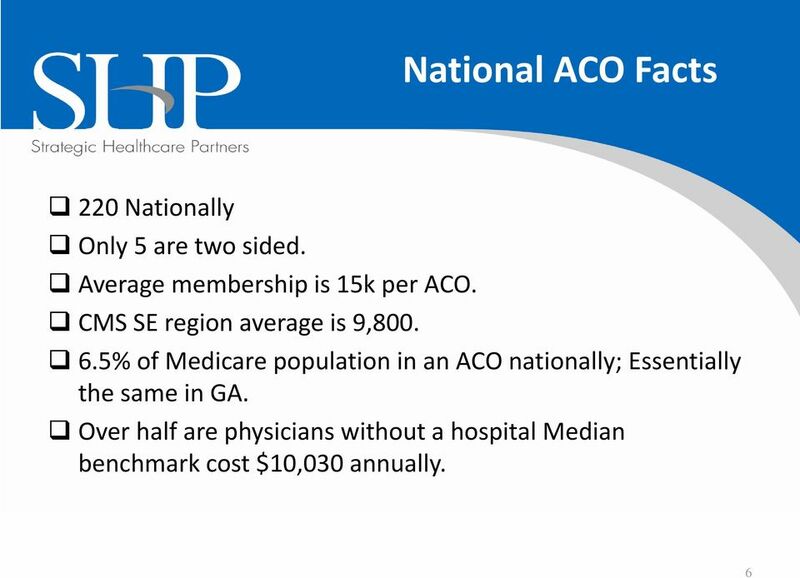 Align physician ACO s under Hospital GPO as an affiliate. 25 How will Vendors React? Vendors will increase marketing efforts focused on new products, technology and services specifically targeted at the ACO market. This will include products that claim to reduce LOS, lower infection rates, improve quality outcomes, less invasive procedures for patients and overall lower costs. How do you sort through good marketing claims v. true opportunities? Utilize the Value Analysis Team process. Partner with vendors who will go at risk to back up their claims. Check references to confirm claims. 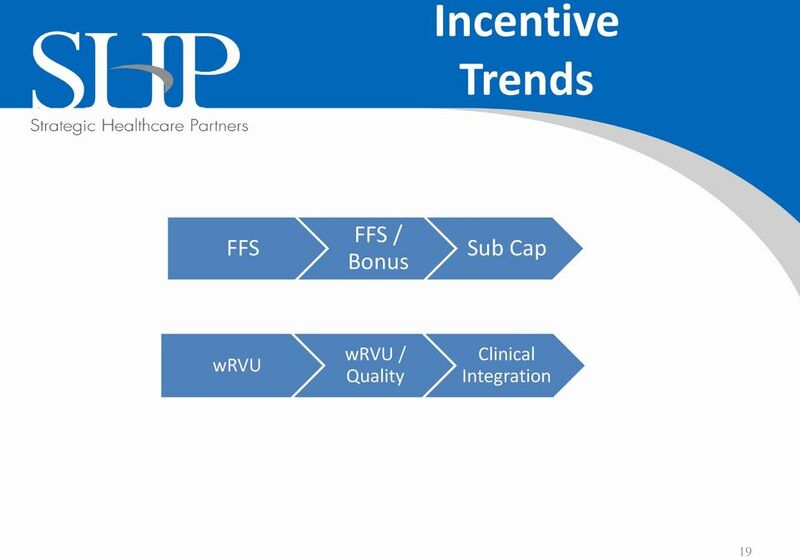 Track and review cost savings and outcomes. 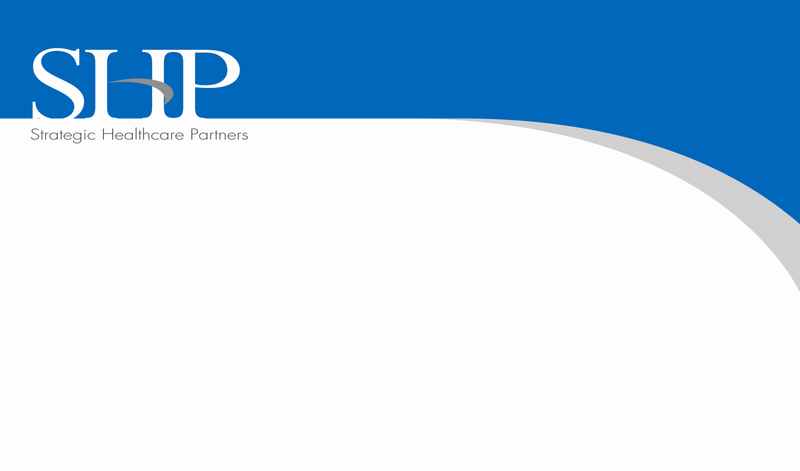 Make it part of the VAT process. 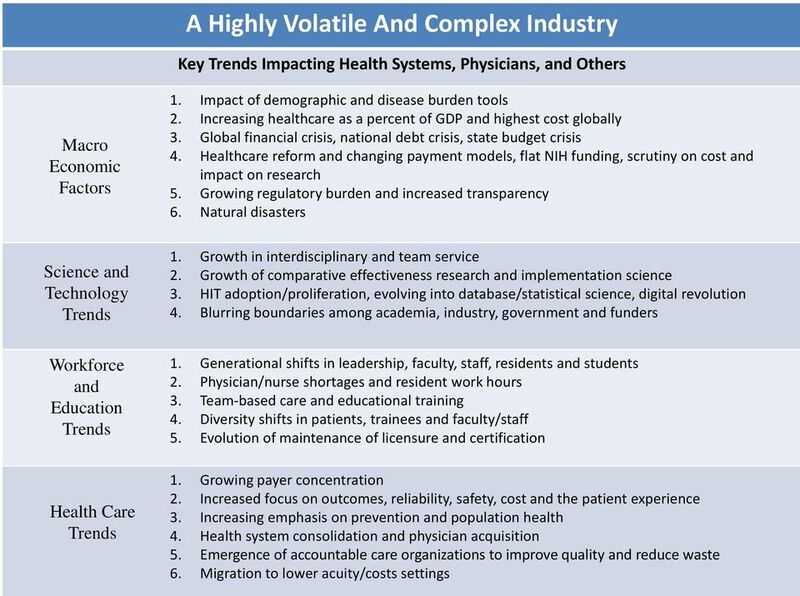 27 MM Top 5 Takeaways 1) Physicians are now motivated to be involved with supply chain efforts to help reduce costs and enhance bonus potential. 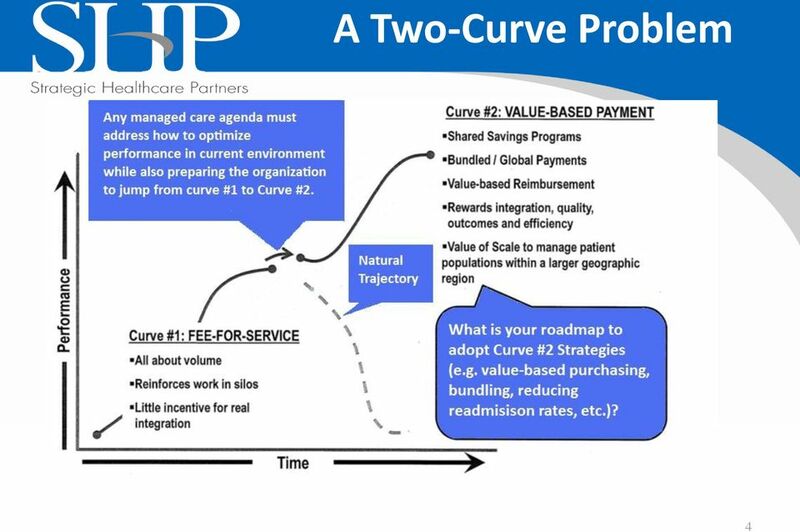 2) Physicians will want to be more involved with the supply chain utilization review process to streamline consumption based on comparative best practices data. 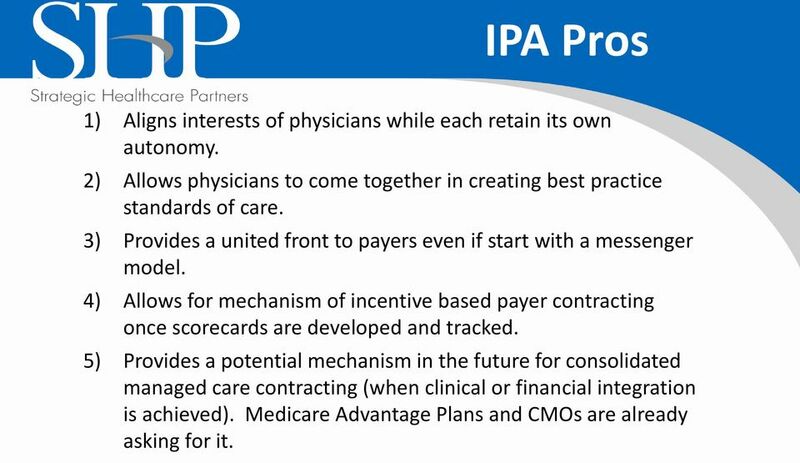 3) Outcomes will be even more of an influential driver with getting physicians to the table with vendors. 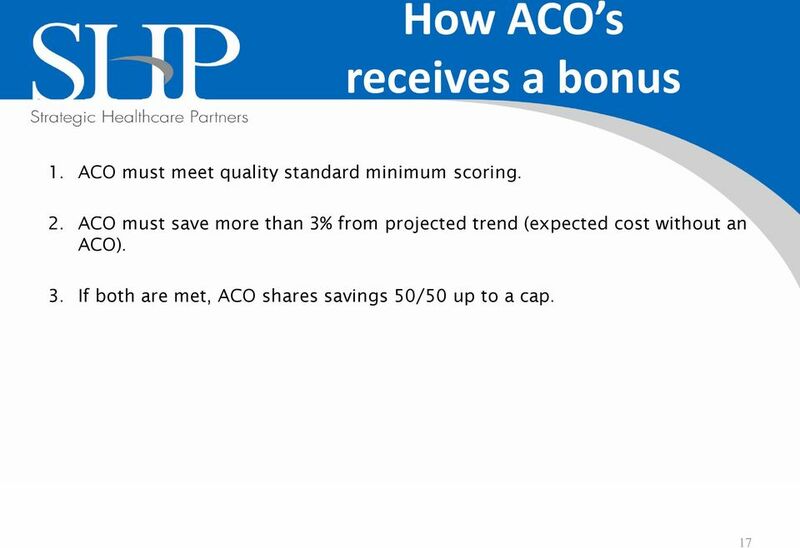 4) With physician based ACO s, it will be essential to keep a good relationship to prevent the possibility of loss of referrals. 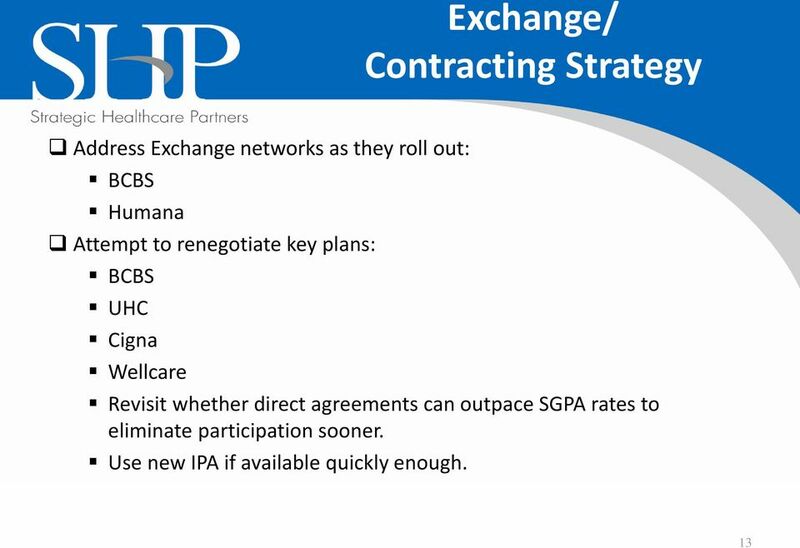 5) Physicians will be more directly involved with the negotiation process with vendor preference initiatives. 28 Wrap Up ACO s will impact each of you in this room one way or another. Physician relationships will grow and be more instrumental in your every day processes. Negotiations will now include input from physicians as they will become more interested in the cost structure of supplies used. 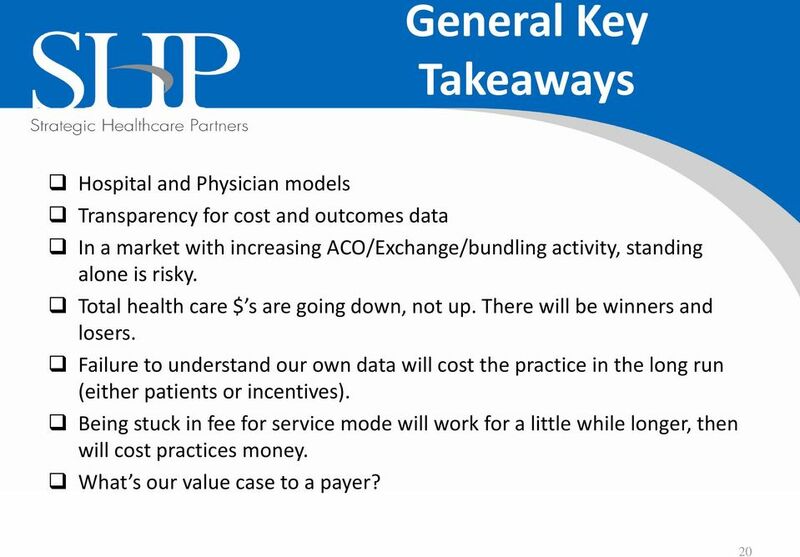 Transparency of cost and outcomes will become more prevalent. Hospitals should gain leverage due to transparency and newly engaged physician interest in cost structure being as important as vendor preference. 10/7/2015. Orthopedics in the Value-Based Environment. Financiers of Health Care are Becoming More Active. 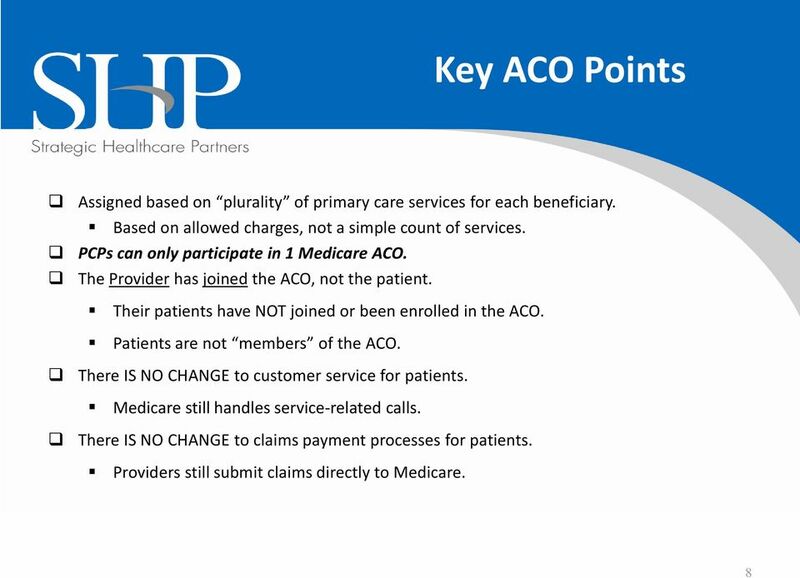 ACOs and Beyond. 1. 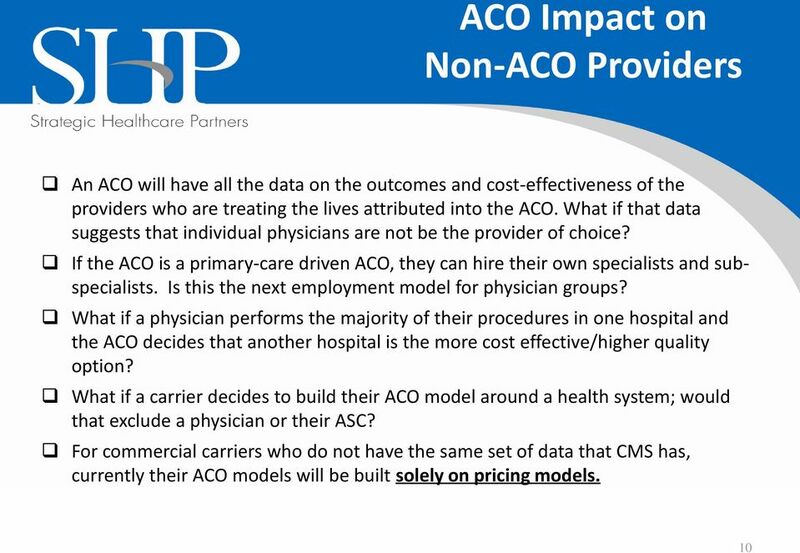 Would additional health care organizations be interested in applying to the Pioneer ACO Model? Why or why not?